According to the Center for Science in the Public Interest this large edible tuber ranks highest in nutritional value of any vegetable. With 6 grams of fiber and just 160 calories, plus vitamins A and C and potassium, it's no wonder. The sweet potato is among the oldest cultivated vegetables and remains a popular staple throughout the world. Only distantly related to the potato, it packs a much stronger nutritional punch than its pale-hued cousin. 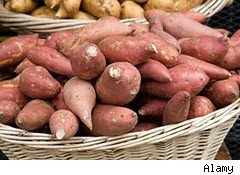 The darker skinned variety Americans call a yam is actually a misnomer, having no relation to the tropical root at all. True sweet potatoes are full of fiber, potassium, and vitamins A and C. Bake, roast, steam or mash for an easy weeknight side dish. Fondly known as the "jewels of winter", pomegranates and their juice have been credited with everything from lowering cholesterol to managing type 2 diabetes and helping to fight prostate cancer. 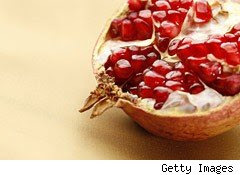 The tasty red seeds called arils are a good source of fiber, vitamins B and C, potassium, and polphenols (antioxidants). Munch on the seeds or toss them into salads, grain dishes and yogurt. Drink the juice and you lose the fiber but still get a mega dose of free-radical fighting antioxidants. 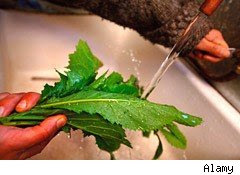 Unlike other delicate leafy greens, kale freezes well and tastes sweeter after frost exposure. It grows so well in winter, one variety was actually named "Hungry Gap" thanks to its ability to thrive during a period when few other vegetables do. Kale is praised for its anti-inflammatory properties and high levels of vitamins A and C, lutein, zeaxanthin, iron, and calcium. Sauté with garlic and olive oil or make kale chips by tossing with olive oil and salt and baking until crisp. Sweet and tangy grapefruit will help keep your immune system buzzing long after winter's last snowfall. One-half cup serving provides 70 percent of your daily vitamin C requirements plus pectin and fiber, both of which will keep you full and regular. Ruby red and pink varieties are also high in lycopene, the same antioxidant that's in cooked tomatoes and which may help prevent cancer, heart disease and macular degeneration. Slice in half and eat with breakfast or peel a whole grapefruit for an easy on-the-go snack. 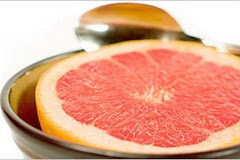 Or try broiling grapefruit (sprinkled with brown sugar and cinnamon) for a simple, healthy dessert. For decades people have been drinking cranberry juice to fight urinary tract infections, but mounting evidence suggests that cranberries have other beneficial properties as well. Recent research shows that cranberries and cranberry juice contain antioxidants that may protect against certain types of cancer, heart disease and other chronic illness. Only 5 percent of harvested cranberries are sold fresh, the remaining 95 percent are processed into juice drinks, sauce, and sweetened dried cranberries. Although fresh cranberries are too bitter and sour to eat, beware of heavily sweetened cranberry juice cocktails and snacks. 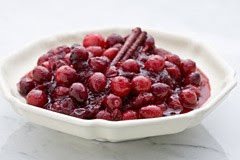 A better alternative: make a compote or chutney using fresh berries paired with a sweeter fruit such as apples or pears. Or add unsweetened cranberry juice to club soda for a tangy yet refreshing cocktail. 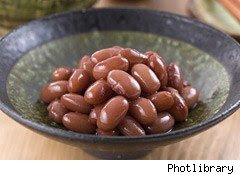 Named for their resemblance to the human organ bearing the same name, kidney or red beans rank number one on the USDA's list of 20 high antioxidant foods (as measured by their total antioxidant capacity per serving size). The soluble fiber in kidney beans helps regulate blood sugar levels, and like all beans, they are an excellent source of protein and iron. With less fat than meat, these legumes are a healthy, versatile, and affordable protein alternative. Toss into soup or a salad or make a big batch of vegetable chili to warm you on the chilliest days. Unsweetened cocoa is number 10 on ORAC value list, an antioxidant content rating scale developed by the USDA. High in phenols and flavonoids, cocoa has twice as many antioxidants as red wine and almost three times as many as green tea according to researchers at Cornell. While not unique to winter, what's better than a frothy cup of hot cocoa when the temperature dips? Loaded with protein, unsaturated fats, fiber, phytonutrients and antioxidants, these scrumptious nuts are available year round, but harvested in the late fall and early winter. A diet rich in nuts helps to lower cholesterol and keep blood vessels strong. 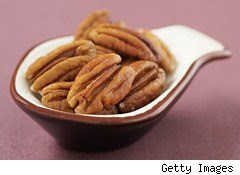 Eating pecans daily may also delay age-related muscle nerve degeneration. Choose raw over roasted and salted (or worse yet, candied) and try to stick to a one-ounce serving, or about 20 halves, a day as the calories add up fast.